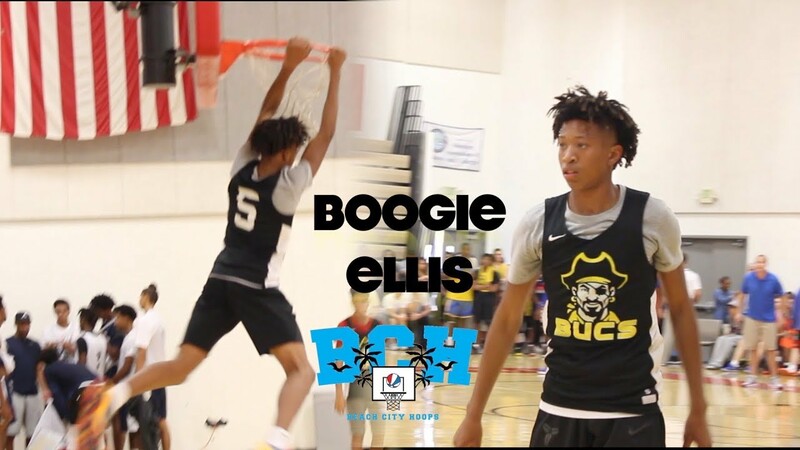 Arizona has offered Boogie Ellis 2019 6'2 4-Star PG out of Cali. Love his Name and his Game. BearDown! This might be the only recruit I've seen that I'd be willing to bring here just for his name. Looks like a kid that is well rounded overall. He doesn't have elite athleticism (probably why he's not a 5 star), but he does many things well. He's got a nice jumper. He likes to drive and kick to the open man. He plays heady (good BB IQ). This would be a nice get for a 3-4 year player. Looks like we are offering a lot of guards, when we should have a stable of them(assuming no transfers). And if Nico Mannion re-classifies to 2019... I dunno. One thing Im sure of is that we will be in desperate need of multiple power forwards and/or centers in the 2019 class. This kid looks like a great player, though, for sure. I am getting the feeling Miller is looking for something in these guards that we may not have yet. I notice a lot guards that can score and create off the bounce, and most of them are on the taller end (6'2+) with a combination of long bigs that can run and finish above the rim, and some of them even able to put the ball on the ground as well. If I didn't know any better, I would say that Miller is about to turn Arizona into his own interpretation of Golden State? Was seeing boogie Ellis is getting ready to cut list of schools interesting to see if arizona makes the cut heard on radio on sports show that Miller wanted him an nico next year. Boogie is set to visit Arizona on October 5th. Good to boogie coming out to visit like his game he can shoot the ball well I would like to see him at arizona even if we get nico to commit. Boogie said it’s not a commitment, but sure looks as close to a commitment as possible without committing. Did he just do an unofficial to USD or something? This is getting more and more common. I wouldn't read anything into it. A lot of these kids like to mess with people's minds. They like to get people talking. He still has several visits left.